As we get older, many natural changes occur in our bodies which can lead to unwanted aging symptoms, especially in our faces. Our faces are particularly vulnerable due to the delicacy of facial skin. Decreases in the production of compounds crucial to the skin — such as collagen, elastin and hyaluronic acid — can leave our faces looking hollow and our skin looking tired, saggy and wrinkled. Collagen and elastin are responsible for the underlying structure of our skin, giving the skin its tautness and elasticity. Hyaluronic acid also contributes to these structures and, since it naturally attracts water. HA helps our skin look and feel hydrated, keeping ti supple, while also helping to retain volume. Fortunately, while the decline in these naturally occurring compounds cannot be stopped, the symptoms they produce can be minimized and improved. Dermal fillers give those with early aging symptoms a natural, safe and effective way to treat these symptoms while avoiding costlier and riskier invasive procedures. Dermal fillers, using compounds naturally occurring in the body as well as body-safe compounds, can restore lost volume while also reintroducing hyaluronic acids, which help the body naturally restore volume over time. Dermal fillers also pose minimal risk. Dermal fillers are compounds made from biocompatible elements and frequently include hyaluronic acid — a compound naturally found in the body — or a derivative. 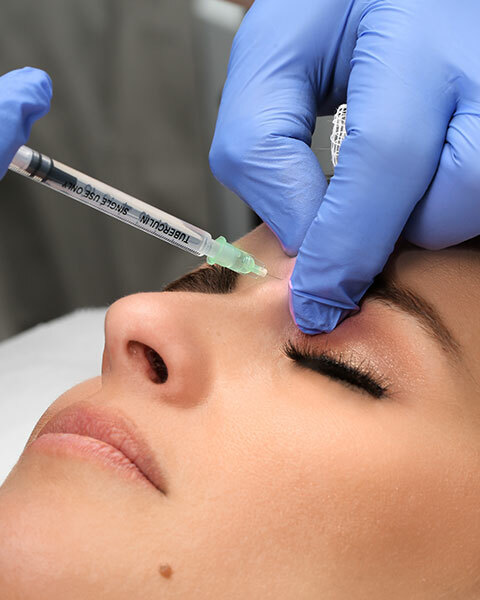 During your treatment, your medical provider will inject carefully-predetermined amounts of the dermal filler into areas where volume loss and skin laxity are present. The filler will restore lost volume and reintroduce additional hyaluronic acid. If hyaluronic acid is introduced through the filler, the acid will immediately begin to attract water, further volumizing the skin. Hyaluronic acid will also boost your body’s collagen and elastin production, spurring continued improvements. Since fillers use biocompatible or naturally-occurring components, they are extremely safe as well as effective. What are the benefits of filler treatments? Dermal fillers have many benefits that make them a key treatment to consider if you are concerned about facial aging symptoms. What areas do filler treatments improve? Dermal fillers can improve almost every area of the face affected by early aging symptoms. 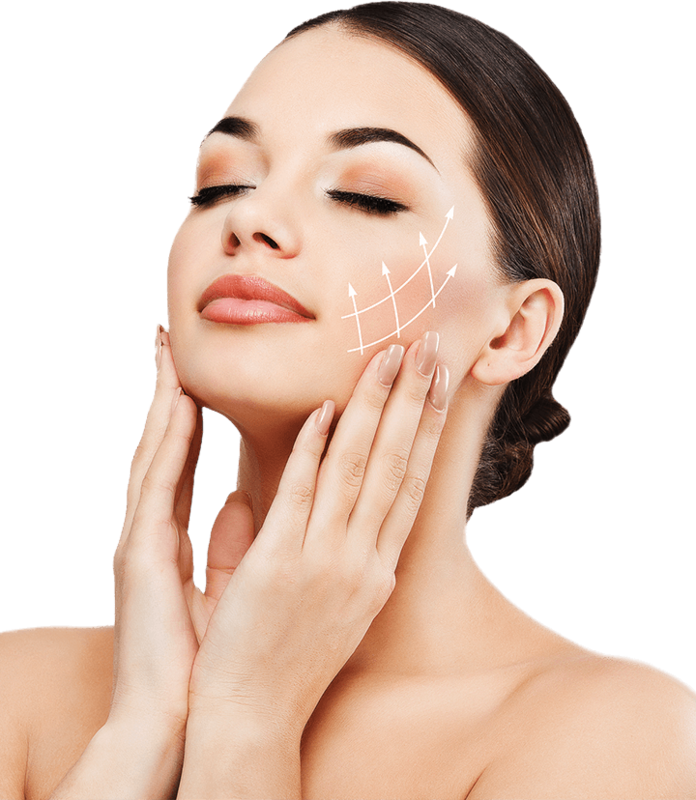 Spa Sydell offers a comprehensive line of dermal fillers to treat a broad spectrum of facial aging symptoms. Juvéderm® XC Ultra and XC Ultra Plus are injectable, smooth consistency gel fillers, featuring cross-linked hyaluronic acid. These treatments smooth and fill moderate to severe facial lines, wrinkles and furrows around the nose and mouth. Juvéderm® XC products can also help decrease smoker’s lines and reduce eye bags as well as rejuvenate the hands, restoring lost volume. Also, Juvéderm® dermal fillers are proven safe and effective in persons with pigmented skin, and for these patients, there is no increased risk of hyperpigmentation or hypertrophic scarring. Juvéderm® comes in XC Ultra and XC Ultra Plus formulations, with XC Ultra Plus having a somewhat larger particle size for greater volumization. Both Juvéderm® XC products include lidocaine for increased comfort during treatment, and their results can last anywhere from four to nine months. Juvéderm Voluma® also contains a hyaluronic acid formulation and is designed specifically to help lift, contour and rejuvenate the cheeks, creating a more youthful appearance. Voluma® is the first only FDA-approved filler for improving mid-face volume loss due to collagen depletion. Because Voluma® also relies on a hyaluronic acid formulation, it, too, will bind to water and help naturally restore lost skin volume over time. Once Voluma® is injected into the concern areas, patients will see immediate, visible and lasting results that can last up to two years. Juvéderm Vollure™, another hyaluronic acid-based dermal filler, effectively treats deeper volume loss found in facial wrinkles and folds, including marionette lines and nasolabial folds. This filler uses a special formulation called VYCROSS® which employs hyaluronic acids of different molecular weights to give the recipients enhanced volume and results that can last up to 18 months. Juvéderm Volbella® XC is designed specifically for the lips. Like its Juvéderm counterparts, Volbella® uses a hyaluronic acid formulation and can improve the vertical lines which develop around the lips. By naturally hydrating the delicate skin in this area, patients can enjoy smoothing of fine lines and subtle and natural rejuvenation. When Volbella® is injected into the lips, they will see subtle plumping and restored volume and fullness. Volbella® applies smoothly, giving your medical provider great control, and provides results that can last up to one year. Juvéderm Kybella®, an FDA-approved injectable, improves the appearance of moderate to severe submental fullness — fat which accumulates below the chin. Kybella® uses a synthesized form of deoxycholic acid, a naturally-occurring compound in the body. When introduced, the treatment destroys fat cells, significantly improving the contours of the chin and the profile. Patients have Kybella® as multiple small injections in the chin area. Depending on the amount of fat loss desired, patients may need several Kybella® treatments to get the results they want, but once results are achieved, they are permanent. Belotero Balance® specifically treats vertical lip lines and the nasolabial folds — the lines between the nose and corners of the mouth — or smile lines. The treatment is ideal for persons who have moderate to severe symptoms in this area. Belotero Balance® uses its own proprietary hyaluronic acid formulation in a smooth, flexible gel which easily integrates into the treatment area and enables patients to continue to make natural facial expressions. Belotero Balance® also feels very natural. The results of Belotero Balance® are both noticeable and long-lasting. Patients can expect their results to last six months or more. Radiesse®, a treatment for small wrinkles and folds, works slightly differently than other dermal fillers. A Radiesse® treatment uses Calcium Hydroxylapatite (CaHA) microspheres suspended in a gel, rather than a hyaluronic acid-based ingredient. The treatment provides immediate volumization and smoothing of folds and wrinkles and also stimulates the body’s natural collagen and elastin production, providing natural and long-lasting results. Eventually, the body will absorb the CaHA microspheres, leaving behind only newly rejuvenated skin. Results of Radiesse® can last a year or more. Revanesse Versa™ treats mild to moderate marionette lines and nasolabial folds using a proprietary hyaluronic acid formulation. This formulation uses a proprietary wet-milling technology that captures only highly spherical hyaluronic acid molecules to be used in the filler, enhancing both the volumizing effects of the filler and the length of each patient’s results. The treatment also tends to produce less swelling than other dermal filler treatments. Results are visible immediately and can last six months or more. Atlanta residents can trust Spa Sydell for their filler treatment needs. Spa Sydell has served the greater Atlanta area for over 30 years, and its clients rely on its commitment to their appearance, health and wellbeing, making Spa Sydell a place to which they will always return. You will experience this commitment each time you visit Spa Sydell. It shows in our highly-attentive personal care, tranquil environment and tailored spa and cosmetic treatments. Whether you come for a luxurious day spa experience or proven and effective cosmetic treatments, you can find both at Spa Sydell. Spa Sydell not only offers a full suite of spa services which include the services clients want and expect, such as massage, facials, and manicures and pedicures but also comprehensive solutions to many common, troubling skin concerns. Spa Sydell — through cosmetic treatments like injectables, fillers and lasers — can translate the wellness you feel after a restorative day at our spa into a refreshed appearance that radiates outward as well. Using only safe and trusted rejuvenation techniques, the qualified medical providers at Spa Sydell can help you achieve your cosmetic goals and honor the characteristics that make you most attractive.